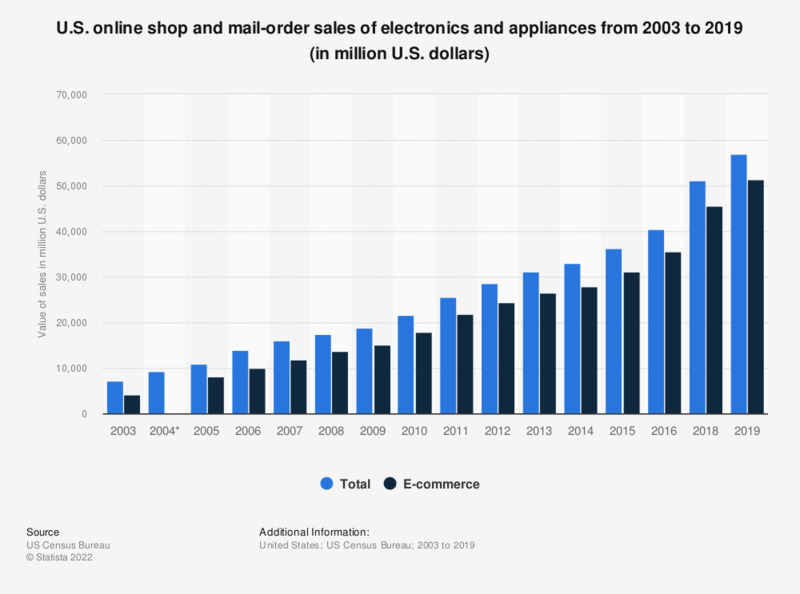 This timeline shows the sales figures for electronics and appliances of U.S. electronic shopping and mail-order houses since 2003. In 2017, the value of electronics and appliances e-commerce sales was 46.2 billion U.S. dollars, up from 38 billion dollars in 2016. * Estimate for e-commerce value did not meet source publication standards because of high sampling variety or poor response quality.